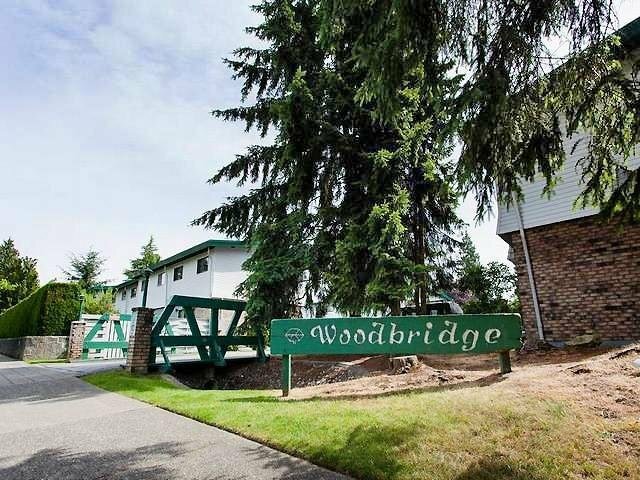 Opportunity at Woodbridge Estates! With a little hard work, this 3 bedroom, 3 bath townhouse with full basement will make a great family home. It currently does not show well & requires paint, flooring, de-cluttering & cleaning BUT, it doe s have an updated kitchen, hardwood floors in the kitchen & entry, new doors, hardware, & light fixtures throughout plus an updated furnace in 05 & hot water tank in 2013. Well-kept complex with depreciation report available & featuring a salt water indoor pool, sauna, playground & ball court. Fenced patio/yard, 2 parking spaces & just a short walk to Guildford Mall & Rec Centre, transit, schools & parks. CRF $240,000 for 93 units, Strata Fee $274 p/m, 2 pets ok, any size, no rentals permitted.